Liver: Internal liver injuries may be obtained through blunt trauma such as a motor vehicle accidents, but most commonly occur through penetrating objects, such as knife or gun wounds due to the liver’s large shape and position in the body. 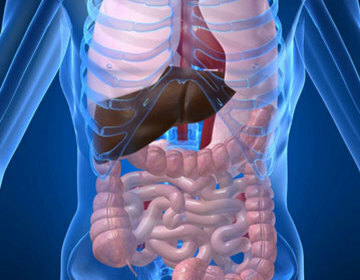 The liver’s size makes it prone to 5% of all traumas, making it the most common region for internal abdominal injury. Spleen: Internal spleen injuries normally come in the form of trauma-induced ruptures to the spleen. As the spleen acts primarily as a blood filter, blunt splenic trauma-most often arising from automobile accidents-is the leading cause of internal bleeding. Kidney: Internal kidney injuries, similar to spleen injuries, are almost always a result of blunt abdominal trauma, most frequently caused by motor vehicle accidents. Although less severe than injuries involving other internal organs, internal kidney injuries can lead to blood in urine, sharp abdominal pain, and abdominal tenderness. Skin bruising over one’s back or abdomen-possibly a result of seatbelt marks-should raise levels of suspicion of potential internal kidney injuries. Heart: When one is involved in a major car accident, it is essential to check up on one’s heart by a trained cardiologist to prevent serious internal heart injuries or failures from surfacing over time. Heavy impact to one’s chest against the steering wheel or air safety bag may lead to myocardial contusion, or bruising of the heart muscle, leading to a “racing heart” feeling or severe chest pain. At Benson and Bingham, we not only understand the severity and long-term danger an internal injury can place on an injured party, but we lament with the occurring financial difficulties as well. Internal injuries lead to a number of medical testing, examinations, and treatments, ranging from MRIs to ultrasounds all the way to CT scans. Pain alone from internal injuries creates a high level of suffering; don’t let financing the treatment lead to even higher stress. Please, contact the attorneys at Benson and Bingham if involved in a serious motor vehicle accident or event leading to traumatic internal injuries.